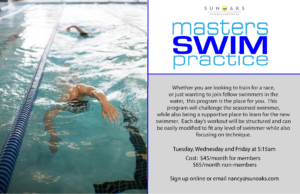 If you are an adult and have never learned to swim due to fear of just never been taught, Nancy can help you learn. 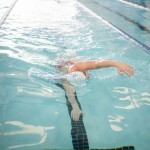 Using the Total Immersion technique which promotes relaxation and efficiency, you will learn to swim in a more efficient and balanced position. See our Group Fitness Schedule for the latest aqua aerobics schedule!